On 18 November 2017, a magnitude Ms. 6.9 (Mw 6.4) earthquake struck Nyingchi, Tibet Autonomous Region, China, which is located in the famous Grand Canyon region of the Yarlung Zangbo River in the eastern Himalayas, Tibet. The Nyingchi event was a thrusting event, with a focal depth of 12 km at 29.87° N and 95.02° E. According to emergency investigations and remote sensing, the Nyingchi event triggered at least 1820 co-seismic landslides. The landslides mainly occurred in the Grand Canyon region within an area of 527 km2 (the inner area of Namcha Barwa tectonic node). 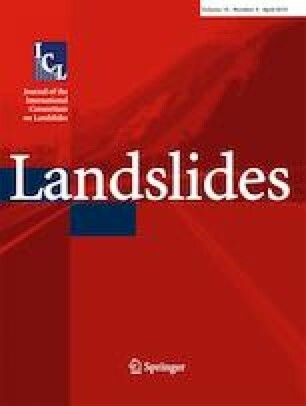 The landslide distribution characterises an obvious hanging wall effect and is classified as “small concentration region and large landslide distribution area”. The failure patterns mainly consist of rock falls, rock avalanches, and deposit failures. One co-seismic landslide partially blocked the Yarlung Zangbo River, and the barrier lake remained. Different influencing factors, such as the seismic fault, river, slope aspect, slope angle, rocks, and elevation, have different influences on landslide occurrences, and the co-seismic landslides in the hanging wall area and footwall area present obviously different characteristics. Additionally, the post-earthquake effect impacted the recent Sedongpu landslide. This study has been supported by the National Key Research and Development Program of China (Grant No. 2017YFC1501000), the National Natural Science Foundation of China (Grant No. 41877235), the Funds for Creative Research Groups of China (Grant No. 41521002), and the research project of State Grid Corporation of China (SGxzzzlwzhbGCJS1700092). The authors express their gratitude for the financial assistance.